“Image with consent of the descendants of Robert Hasler. “The Darby Steam-Digger, a light traction engine, was invented circa 1879 by farmer Thomas Darby and built at Lodge Farm Pleshey, near Chelmsford in Essex, England. 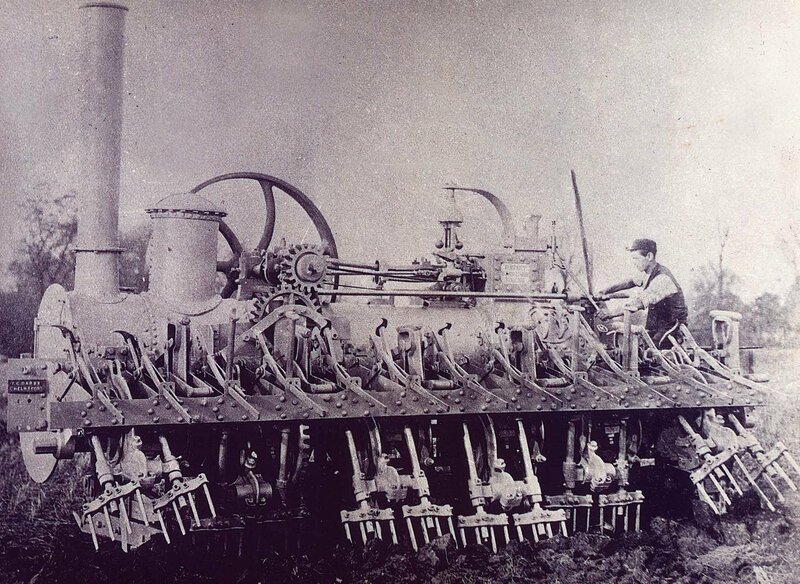 Robert Hasler, seen driving the Digger, helped to build this first prototype. I bet that scared the horses! What a bizarre (yet somehow wonderful!) machine.